Padme Amidala might just be the most multi-talented figure in the Star Wars universe. She’s a respected Senator and dignitary who also moonlights as one of the leaders of the still-incubating resistance movement. In between her official duties for the Federation and her equally important responsibilities to the Rebellion, she still finds time for romance and adventure, eventually becoming the mother of the two key figures in bringing down the Empire. That’s a pretty hefty list by anybody’s standards. Senator Amidala’s trusty blaster saw more use on the rebel side of her duties than on the senatorial side, but in this particular galaxy the lines between the two aren’t always so clear. Get yourself armed to take on the gathering forces of the Dark Side with this officially licensed replica blaster. 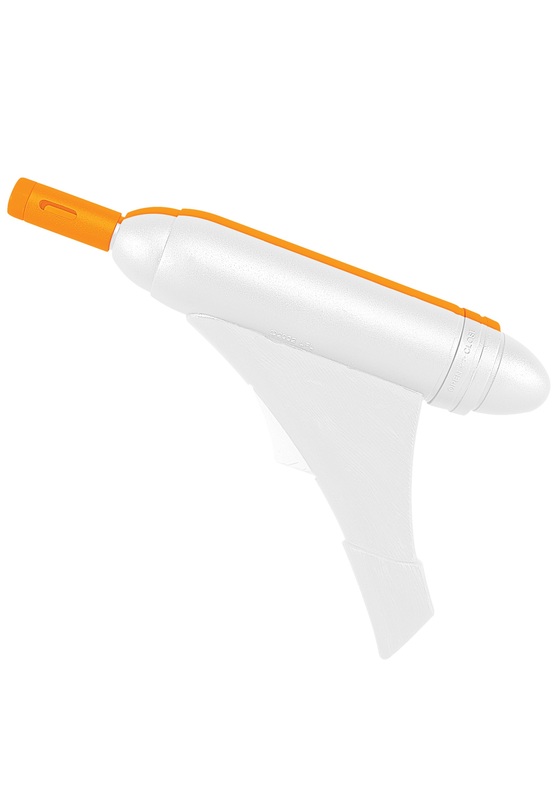 The iconic design and orange-and-white color scheme lets the bad guys know which side you’re on, and it even features authentic blaster sound effects when you pull the trigger (two AA batteries not included). It’s ideal for accessorizing a Padme costume or just gearing up for some intergalactic play time. Just be sure to keep an eye on that Senator Palpatine. Something about that guy rubs us the wrong way.